During the recent Sponsored Research Day awards ceremony, GSE Professor of Education Chun Zhang, PhD, received the Fordham University Outstanding Externally Funded Research Award in the Interdisciplinary Research category. She is one of only five recipients of these awards university-wide. Zhang has significantly enriched the field of Early Childhood Special Education, and has earned multiple prestigious awards and more than $2.8 million in grants positively impacting the lives of young children with special needs and their families. Through funding from the U.S. Department of Education’s Office of Special Education Programs (OSEP), Zhang serves as the Principal Investigator (PI) for a $1.25M, five-year OSEP grant through 2019. 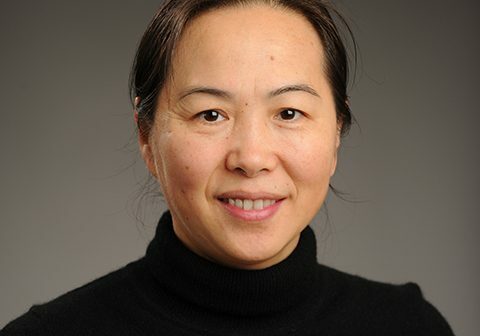 She has also collaborated with Yi Ding, PhD, School Psychology Associate Professor and researcher, in securing an additional $1.25M in funding (from 2018 to 2023) for the project entitled, “Improving Child Outcomes of Young Children with High-Intensity Needs through Interdisciplinary Preparation of Special Education and Preschool Psychology Professionals.” And, in partnership with Tiedan Huang, EdD, Assistant Professor and researcher in Educational Leadership, Policy and Administration, Zhang secured an additional research grant of $365,000 from the Foundation for Child Development. Zhang was previously awarded a five-month Fulbright Scholarship at the University of Macau in the spring of 2013. 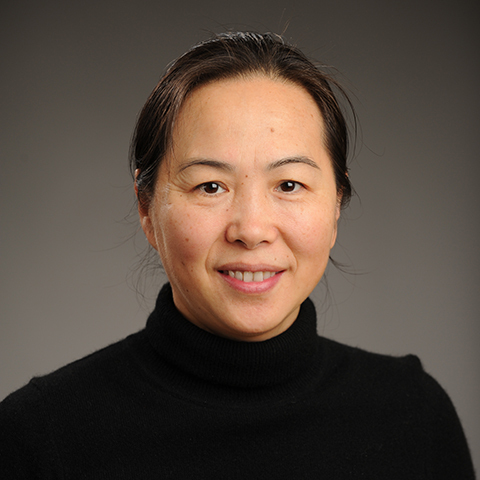 These externally-funded projects have enabled Zhang to successfully work across disciplines with other researchers, developing innovative approaches to teacher development and novel research in early childhood special education. The University Research Council and Office of Research presented the Outstanding Externally Funded Research Awards (OEFRA) to recognize the high quality and impact of Zhang’s and the other honorees’ sponsored research within the last three years and how their work has enhanced Fordham’s reputation—both nationally and globally.